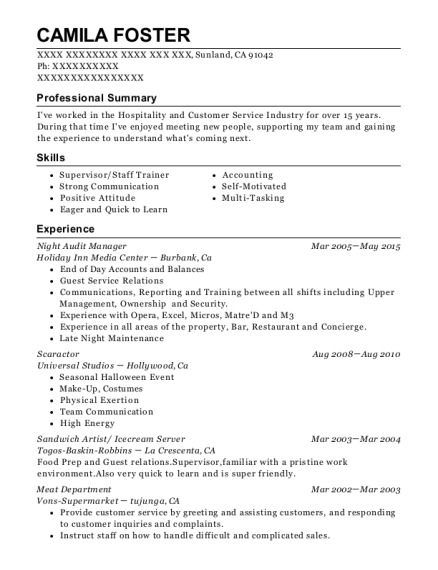 Be employed by a reputable company in a position that allows me to use my skills and excellent work history in a manner that is personally and professionally beneficial. Instruct staff on how to handle difficult and complicated customer service problems. Help and assist with the evaluation of the staff member work performance. 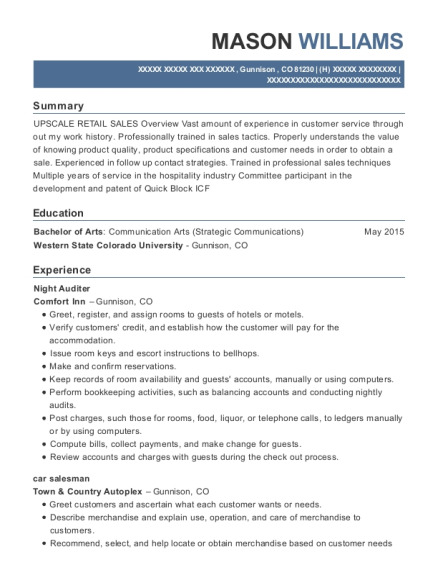 This is a resume for a Night auditer in Omaha, Nebraska with experience working for such companies as Hilton Garden Inn and Nebraska Furniture Mart. 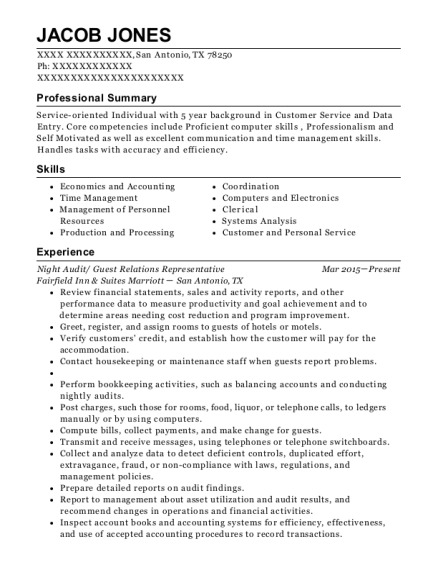 The grade for this resume is 0 and is one of hundreds of Night auditer resumes available on our site for free. 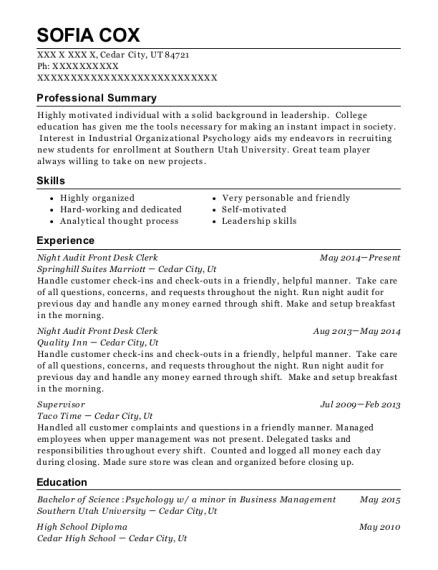 Use these resumes as templates to get help creating the best Night auditer resume.